A selection of walks and tours are held throughout the year that highlight the importance of Newton Cemetery as a local landmark and a community resource. 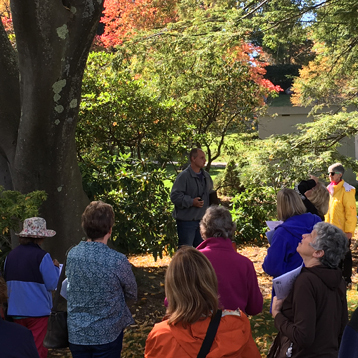 There are tree tours led by Newton Cemetery’s own certified arborist, History Walks and Bird Walks, co-sponsored with organizations such as Historic Newton and Manomet. Help us improve and expand the range of programs offered by contributing to Public Programs.